Team Heiner hard at work preparing the Volvo 60! 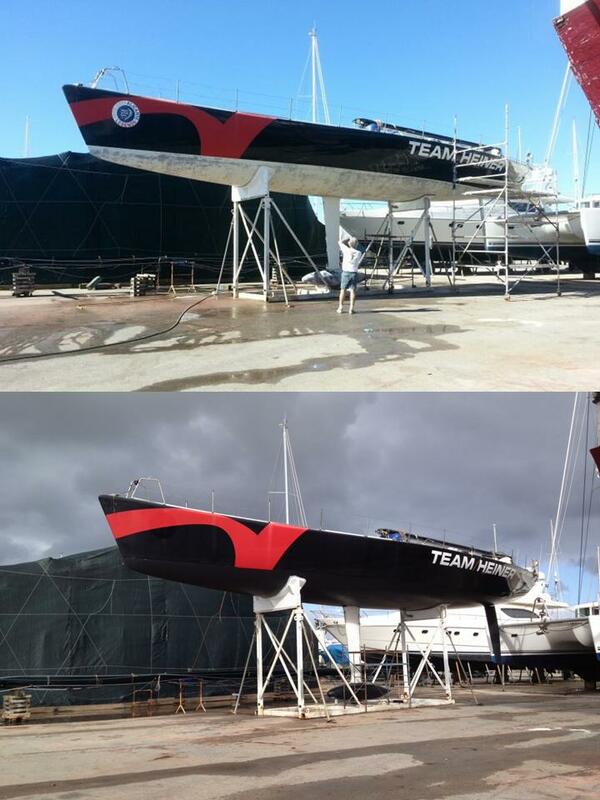 Team Heiner have been hard at work at their team base in Portimao, Portugal, preparing the Volvo 60 Team Heiner One for the upcoming MBA Fastnet Campaign 2013! Below you can see a “before and after” shot, while on the right you can see Team Heiner crew hard at work. Stay tuned for upcoming features on the crew and an in-depth look at Team Heiner One. Meet the MBA Fastnet 2013 Team!